Today we want to share another sneak peek of one of our gorgeous bride's and her beautiful wedding day style. 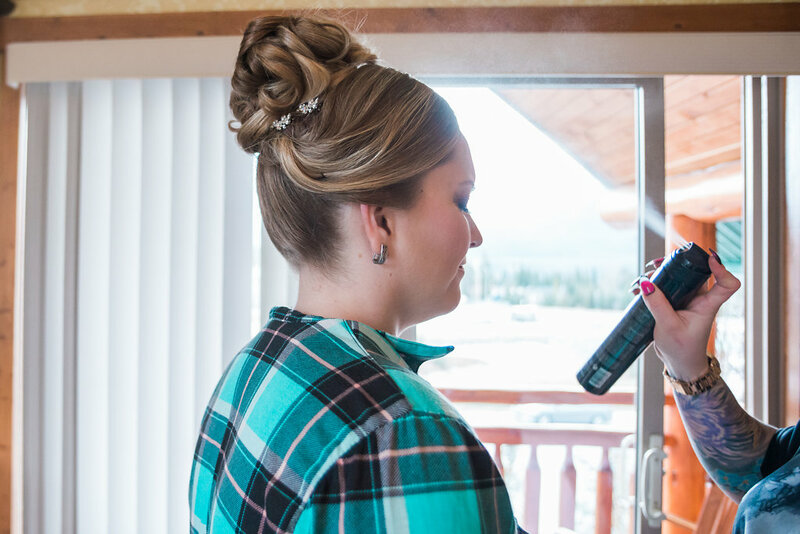 Our bride was married in Canmore and wanted a wedding day look that was elegant, refined and classic. So our team created a beautiful up-do with elegant curls piled on top and accented simple crystals for a touch of sparkle. We kept her makeup in beautiful earthy tones, but gave her enough definition and colour to create an elegant smokey eye that wasn't over the top. All of the images were captured by local wedding photographer, Tessa Perkins Photography. We hope you enjoy the photos and our beautiful bride today! What a gorgeous bride! We loved this beautiful up-do so much! If you want to see more classic wedding hair and makeup be sure to head over to our portfolio section. We've added images of our favourite hair styles and makeup in a variety of styles so you can find all the ideas and inspiration you need. 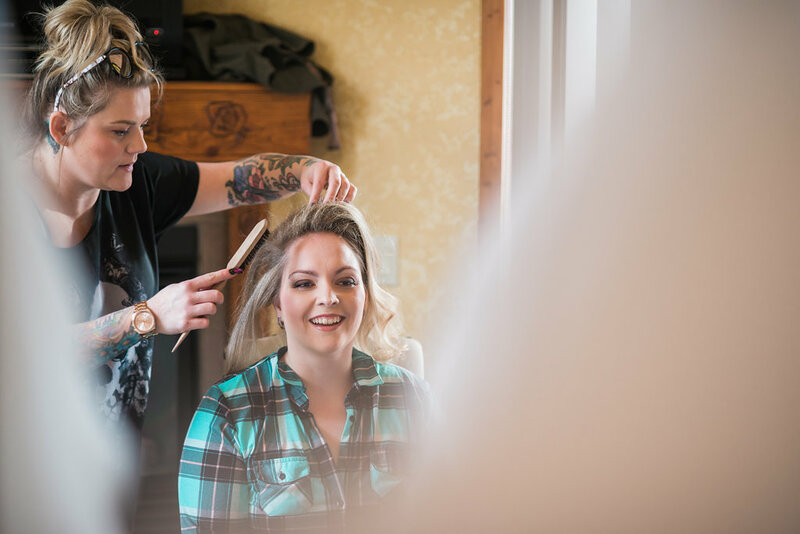 Need a hair and makeup artist for your Canmore wedding? Our team comes to you to with red-seal and accredited artists to help achieve your dreams. Get in touch today.